Two teams from St Joseph’s RC Primary School Chess Club have qualified to play in the semi final of a national chess competition. 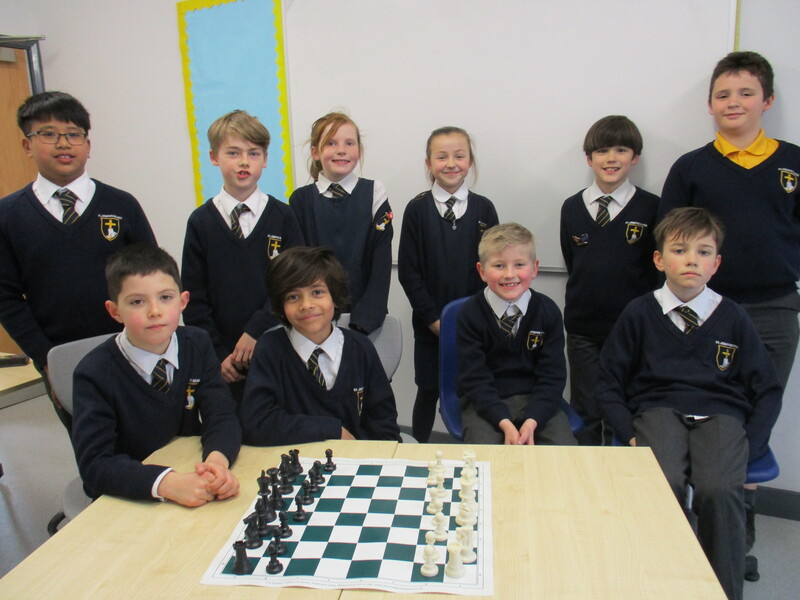 On 24th February two teams took part in the annual English Primary Schools Chess Association competition where the children had the opportunity to battle it out with ten schools from the West of England and South Wales, including the former National Champions. “This is our 4th time in the EPSCA national championships and we have reached the semi-final twice before, but this time, we found ourselves neck and neck with the best throughout the competition” said one of the team managers. The members of the Under 11s team came home decorated with bronze medals, and both Under 11s and Under 9s will be facing the nation’s top players at the semi-finals in May. “St Joseph’s School Chess Club is unique, being operated by volunteering adults for no charge, meaning that any child who wishes to play chess can join. The majority of the participants of the National Championships are from independent schools. The Chess Club is open to all pupils and is free of charge to join meaning the school now has to raise funds for the £200 entrance feel. “We are desperate for the chess club not to miss such a fantastic opportunity, although £200 is rather a large sum for a small local school,” comments a parent. If any local business would like to sponsor the teams please get in touch!